Anyone can contribute news, events, chat, results, shows, health, births, marriages etc. Serious or entertaining. 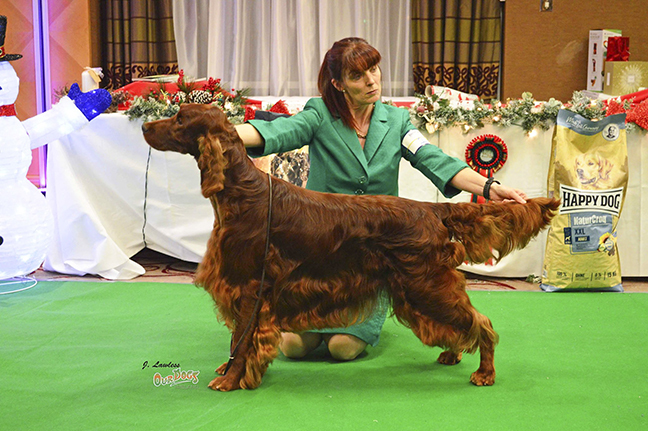 Just contact the Irish Setter UK Webmaster. around the UK. So let usknow what's going on in your part of the country. East Midlands Social Region of the I.S.B.C. Hosted by the “East Midlands Social Region of the I.S.B.C. 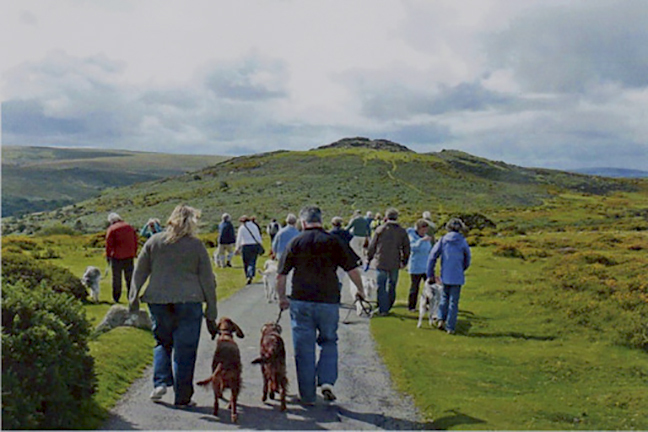 See Maggie Parker's Report on how £2290 was raised last yaer. 6th October 2019 at Chatsworth House, Derbyshire. Worcester WR6 5AZ This is an experience - NOT TO BE MISSED!!! 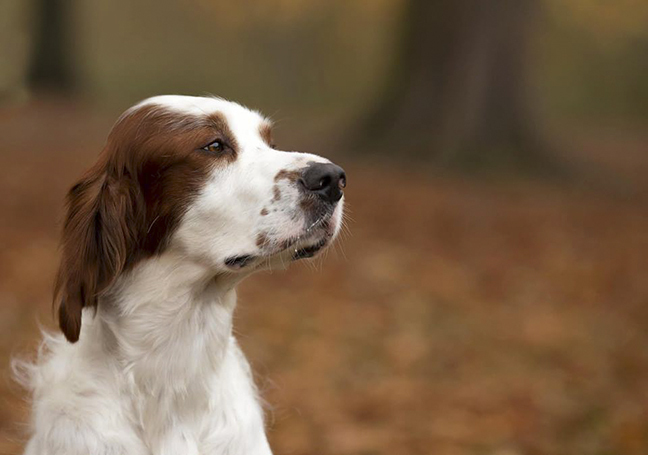 the Kennel Club has announced that there will be ‘grandfather’ rights for established judges who meet certain criteria. 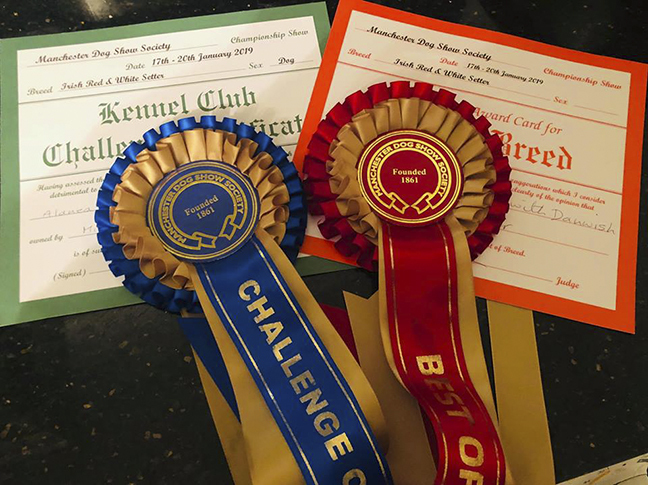 has announced that there will be no licence fee for single breed judges approved to award Challenge Certificates by 1 July 2019. 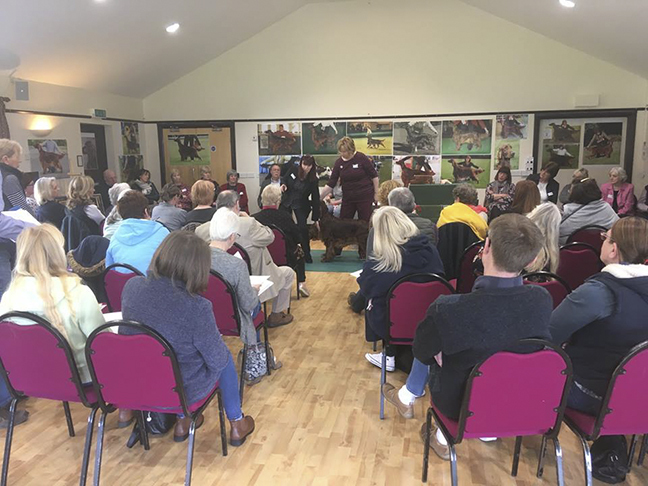 These changes have come about as a result of a review of the JCF carried out by the Judges Committee following feedback, including comments received at the Kennel Club SGM in November. 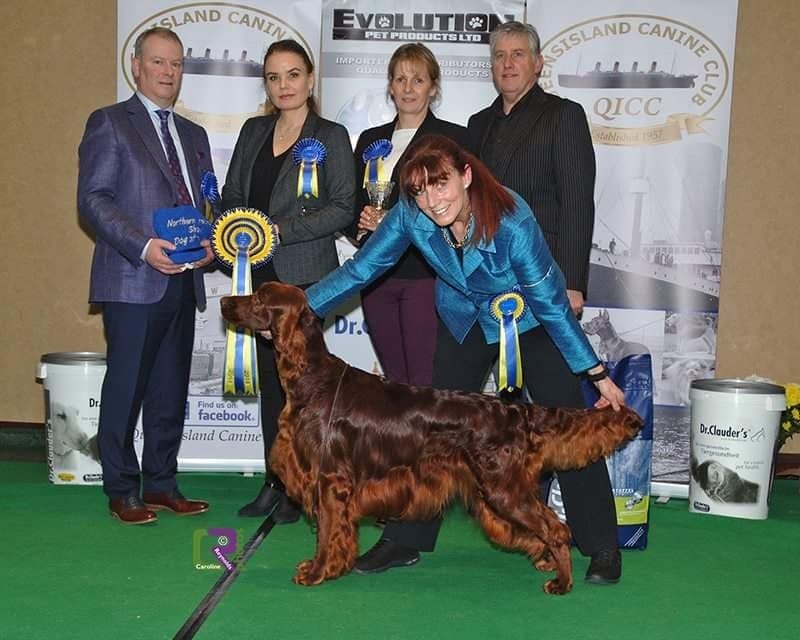 Such judges will be exempt from paying a fee provided they apply for their licence between the latter half of 2019, when the JCF online system goes live, and the end of 2020.
open shows), including single breed CC judges who aspire to judge a further breed at CC level. continue to be able to judge BIS, groups and AV classes at such shows. Recently-approved changes to the JCF also include additional arrangements for existing judges during the Framework’s transition period which ends on 1 January 2022. This has been a special year for us as we also celebrate 25 years since launch. during this time. Please continue to give us your support in the years ahead. 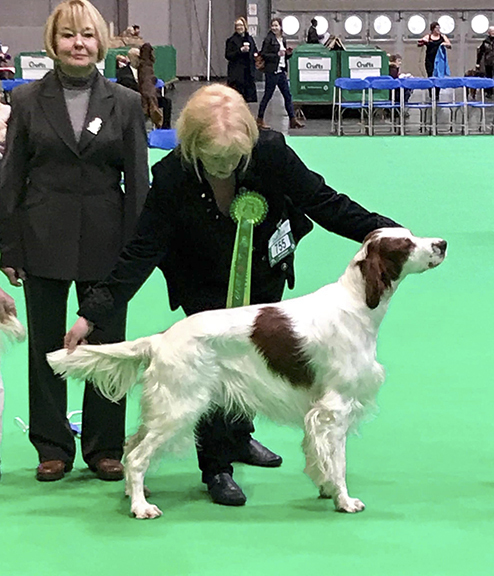 Wishing everyone around the world, a wonderful, happy & healthy 2019, to you and your beautiful setters. 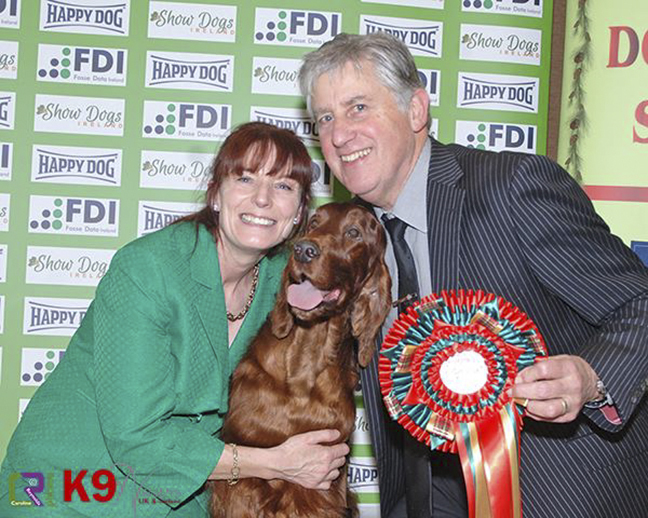 Event, held at the Hilton Hotel in Dublin Owned by Diane Stewart-Ritchie & Alec Stewart. 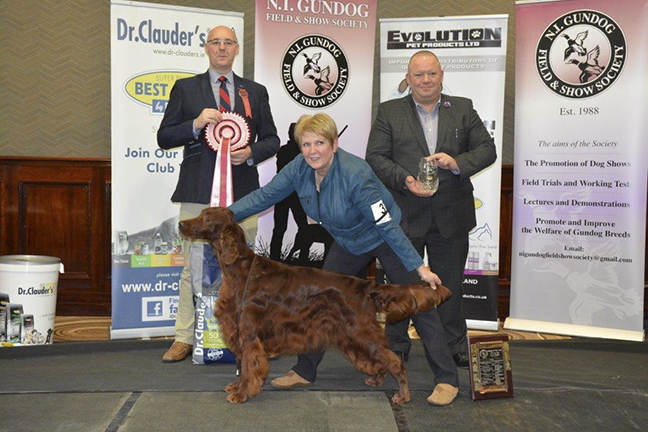 Northern Ireland Gundog of the Year for the 3rd Year running! 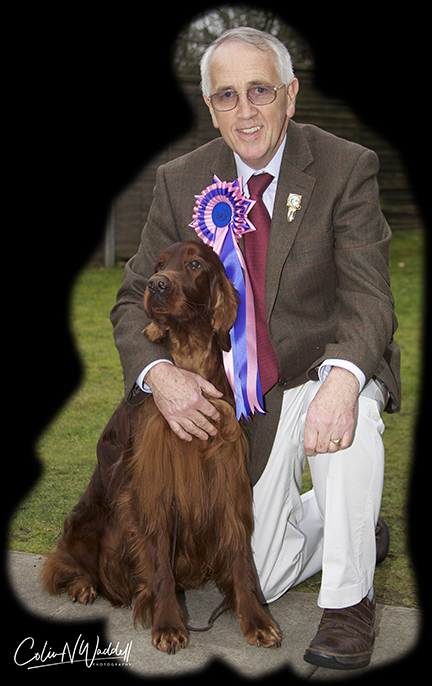 Sad news from Wendy Keele today 22nd November "Keith Lewis (KEGIL) Irish and English Setters, passed away peacefully this morning, after a short battle. He’s now with his beloved Gill." (photo with Denver). 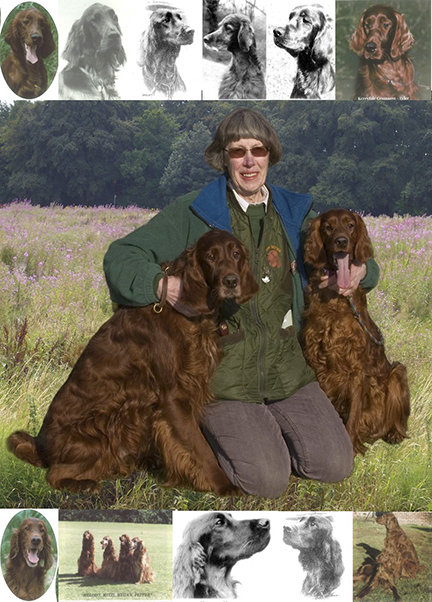 A very well known breeder / exhibitor and former Iish Setter Breeders Club Secretary. A perfect gentleman, will be missed by many. We offer our deepest sympathy to Keith's family, at this sad time. 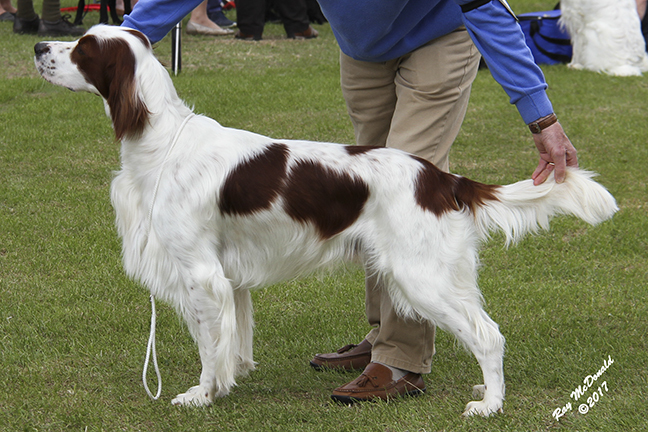 wins NI Show Dog of The Year. 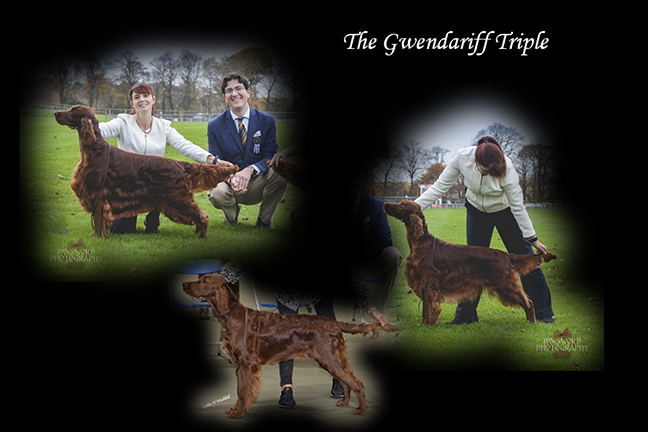 All breeds 2018.
purchased Mega Raffle tickets. 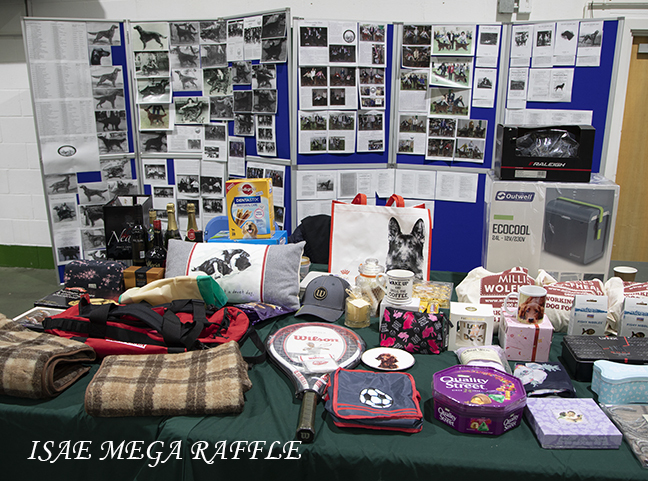 The Raffle was a enormous success with over 70 prizes. 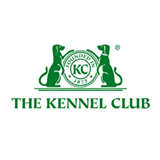 For further information and to see a full list of FAQ’s please see the Kennel Club website. it’s not about winning but the taking part! 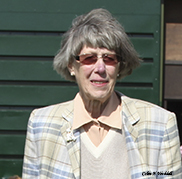 She had time for everyone offering advice and friendship and will be dearly missed, by all who knew her. We offer our deepest sympathy to her son Mark & his family. 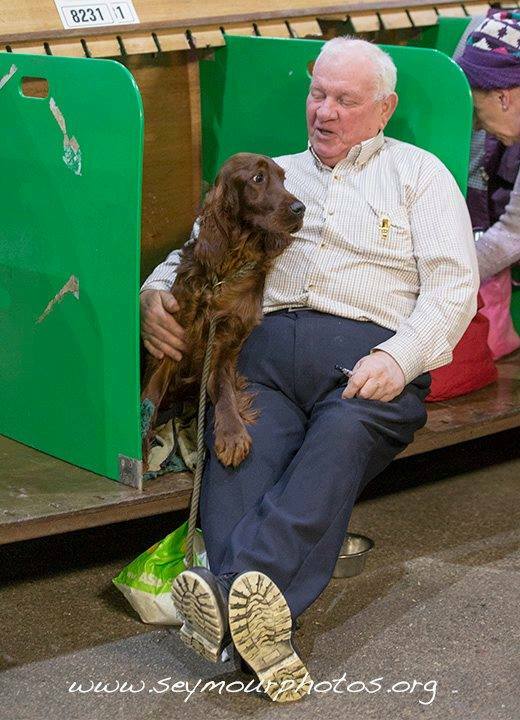 It is with great sadness that we report that Brian McAvoy passed away suddenly last night 22nd August. We have no further details at this stage. 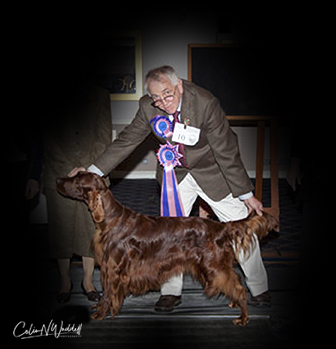 Brian was a long standing member of the ISAE and a serving member of the ISAE/Setter and Pointer Club joint field trial sub-committee and NEEISC committee member. A lovely man who always had time for a chat and a joke. He will be sadly missed.Our deepest sympathy to his mother June, brother Bill & family & friends at this time of deep sorrow.